CaptureSpace Lite is a screen, webcam, and audio recorder that is comparable to other software like TechSmith’s Camtasia or Telestream’s Screenflow. Content creators can capture multi-stream webcam and audio inputs which are synchronized with a PowerPoint presentation or screen capture. Once presentations are created, they can be automatically published and viewed through any D2L tool with an HTML Editor (Content, News, Discussion, Quizzes, Dropbox). 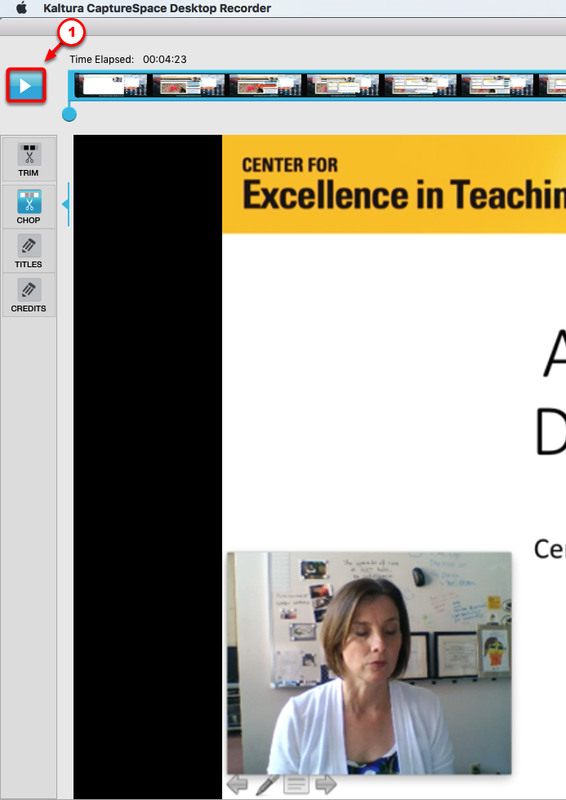 The advantage of CaptureSpace Lite is it’s ease of use and streamlined integration with D2L. The disadvantage is it’s limited editing capabilities. 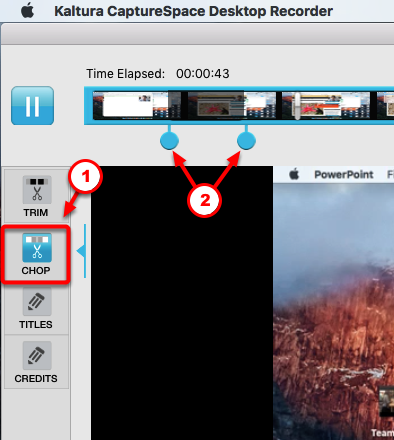 While you can trim the beginning and end, or cut out a section in the middle of a recorded presentation, you can’t re-record sections of the presentation. 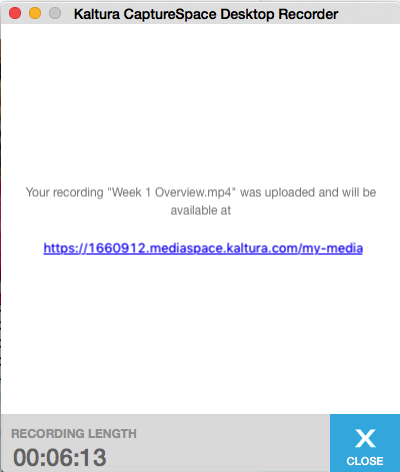 CaptureSpace Lite is ideal for short, informal recordings that provide students with logistical information about the course, module overviews, project descriptions, software or website tutorials, or feedback on assignments. In short, recordings that can be completed in one "take" without the need for extensive editing. 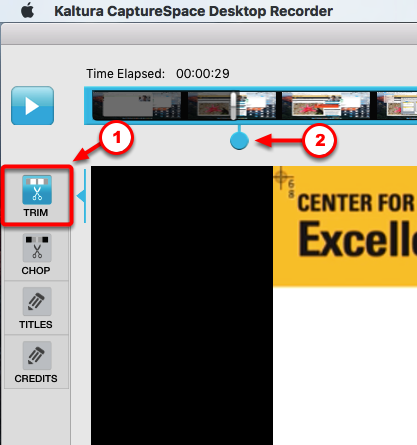 This tutorial will show you how to create a CaptureSpace Lite recording, make optional edits (trim), and publish your recording to "My Media" for access through the "Insert Stuff" tool in D2L’s HTML Editor. Once you’ve completed this tutorial, you’ll need to add the presentation to the D2L tool of your choice (Content, News, Discussion, Quizzes, Dropbox). Several tutorials for embedding the presentation using My Media can be found at the end of this tutorial. 3) If you plan to create a narrated PowerPoint presentation, you should have the completed PowerPoint presentation open and ready. It is best to create a script to use when recording your presentation. You may consider using a microphone headset for recording your voice. This will assure that the microphone remains at a fixed distance, creating a consistent volume level throughout the recording process. We suggest the Logitech® Stereo Headset H390: http://bit.ly/p670G3 However, any noise-canceling, USB-connected microphone headset should suffice. 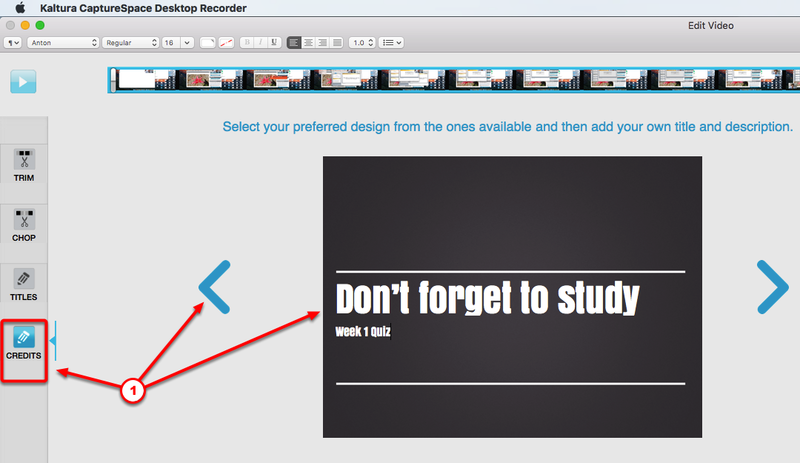 From inside your D2L course site, click [CaptureSpace Lite] in the navigation bar. 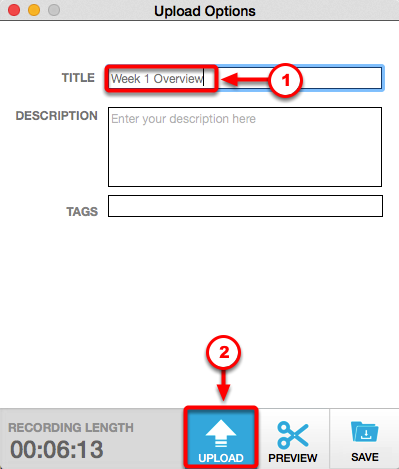 Once the application is launched, you can choose the type of recording you’d like to make. Option #1 will record the screen (which could be a PowerPoint presentation) and your voice. Option #2 will record from your computers webcam, in addition to the screen (which could be a PowerPoint presentation) and your voice. Option #3 will record from your computers webcam and your voice. Option #4 will record your voice only. If you are using a separate usb connected microphone or camera, you may need to select this device if your laptop has a built-in microphone and/or webcam. To select the usb connected device, click the [Settings] tab. 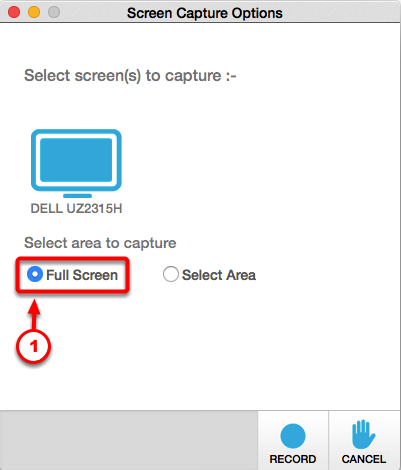 Pull-down the menu under [Select a Webcam] and/or [Select a Microphone] and choose the name of the external device. When recording the screen, you’ll be prompted to select an area to capture. Most likely, you will choose [Full Screen]. This is the selection you will make for a narrated PowerPoint presentation. If you are creating a narrated PowerPoint presentation, make sure your PowerPoint is open and ready for you to quickly click [Start Slideshow] in the next step. 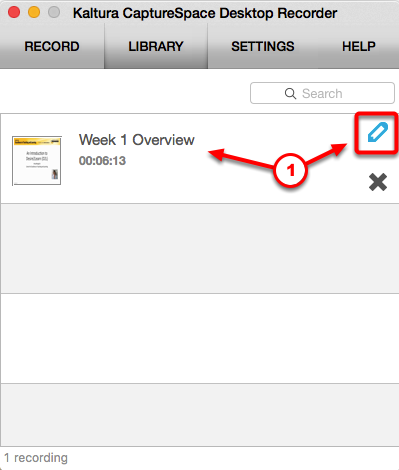 When you are ready to begin the recording, click the [Record] button. If you are creating a narrated PowerPoint presentation, navigate back to your PowerPoint and click [Start Slideshow]. If you are recording your screen (website or a software application), navigate to the appropriate screen. Once you click [Start Slideshow], your PowerPoint presentation will display full screen and you can begin your narration. You can control the presentation as you normally would. To navigate to the next slide, hit the space bar or forward arrow on your keyboard. While recording, you may wish pause your recording to navigate to a different screen or collect your thoughts for the next slide. 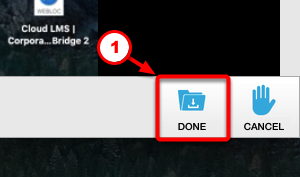 To do this, click the CaptureSpace Lite icon in your Dock or Taskbar and select [Pause]. You can [Resume] the recording when you are ready. If you would like to draw on the screen to provide emphasis or illustrate a concept, click the CaptureSpace Lite icon in your Dock or Taskbar and select click the [Draw] button. When you have finished your narrated presentation, click the CaptureSpace Lite icon in your Dock or Taskbar. 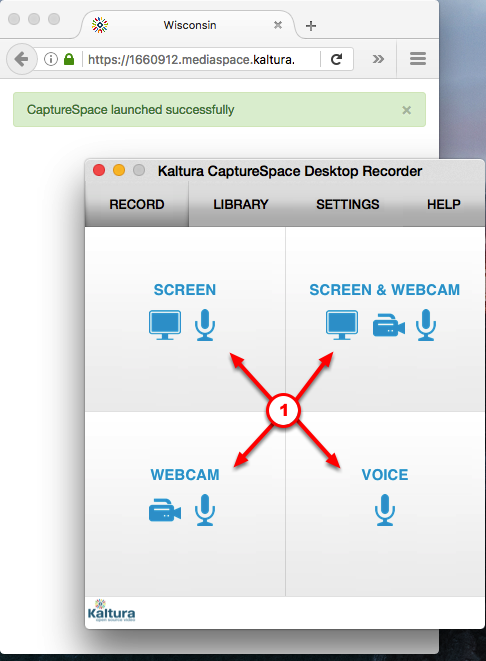 Click the [Done] button on the CaptureSpace Lite Desktop Recorder application. Once the recording has ended, you have the option to review the recording by clicking the [Play] button on the top left. If you wish to remove the beginning or the end of the recording, select [Trim]. Move the "scrubber" (the blue timeline marker) to the right or left to select the area you want to remove. Note that the greyed out area will be remove once changes are applied. If you wish to remove a section from the middle of the recording, select [Chop]. Move the "scrubber" (the blue timeline marker) to the right or left to select the area you want to remove. Note that the greyed out area will be If you wish to remove the beginning or the end of the recording, select [Trim]. If you wish to remove a section from the middle of the recording, select [Chop]. Note that there is no way to re-record or add additional video to the timeline. The editing tool will only remove sections of the video. If applicable, you can add a title to your presentation. This is less useful for narrated PowerPoint presentations which already have a title slide, but could be useful for screen capture recordings of websites or software applications. To add a title, click [Titles]. 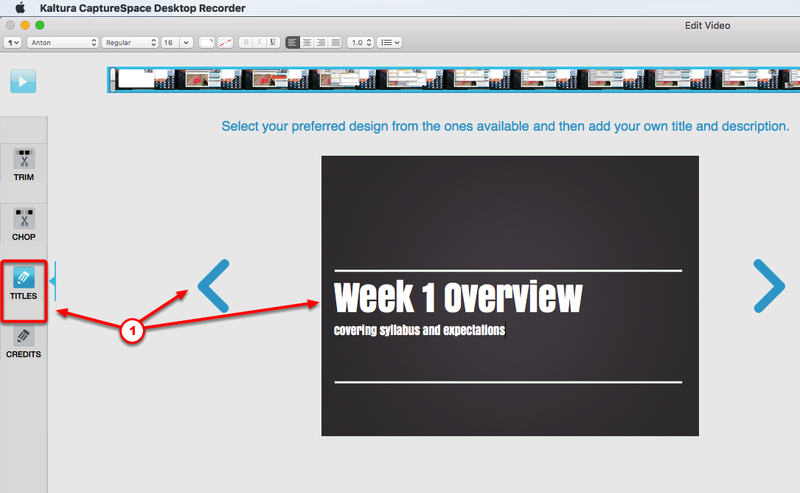 Select a design and edit the text on the slide. You may also add a credit slide to the end of your recording. This may be useful for providing students with next steps or reminders about the assignment being discussed. To add a credit slide, click [Credits]. Select a design and edit the text on the slide. When you are completely finished editing your presentation, click [Done]. If you made changes in the editing area, the presentation will be play and the changes will be reflected in the preview. You can continue editing, if you wish. When you are satisfied with the edits, click [Done] again. You will be asked if you want to alter the original video, or create a new version,while leaving the original in tact. In most cases, you’ll want to make permanent changes and discard the original video. To alter the original video, click [Edit Original]. 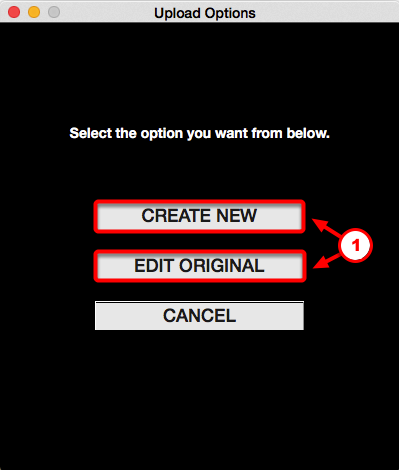 To create a new video, click [Create New]. To upload for access in the My Media tool within D2L, click [Upload]. 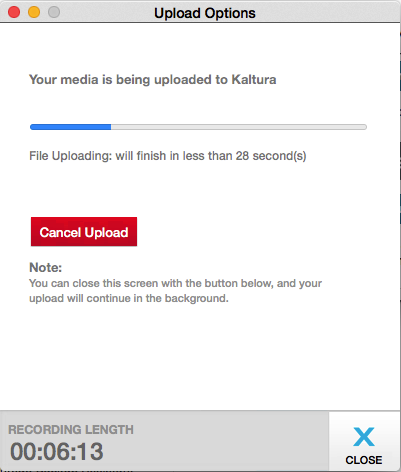 You video will be uploaded to the streaming server (Kaltura) and can be accessed by you alone through your D2L/ePanther ID. Once uploaded, a link is generated, please note that this is not a public link and will not provide access to the video. Please ignore. Click [Close] to return to the main menu for the CaptureSpace Lite Desktop Recorder. 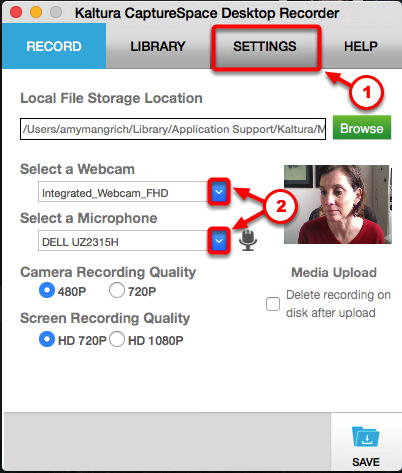 You’ll return to the "Library" in the CaptureSpace Lite Desktop Recorder menu. If you chose [Create New] in Step #16 and you wish to return to editing the original video, locate the original video and resume editing by clicking on the pencil icon. Once you’ve completed this tutorial, you’ll need to add the presentation to the D2L tool of your choice (Content, News, Discussion, Quizzes, Dropbox).